What drew you to aviation? : I grew up around it, but I fell in love with the freedom aspect and the peace that it brings. How long have you been involved in aviation education? : I am newer CFI, but I have been around the aviation education system for five years. What's your favorite part of what you do in aviation education? : Getting to fly and share my passion with other people. What's your least favorite part of what you do in aviation education? : Waiting on airplanes to get fixed and weather to clear out. 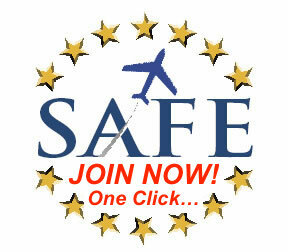 Why did you join SAFE? : To be a part of a greater community of educators to share experience and notes with. What would you like to see change in aviation? : The number of student pilots that become licensed pilots.